I’m reposting and updating this news article because it now contains a response from Indepenpress director, Lynn Ashman, which TIPM received today. 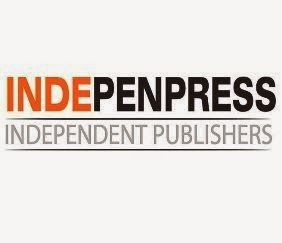 Indepenpress Publishing Limited, one of the leading providers of publishing services to authors in the UK, has ceased trading. The independent publisher had been in operation since 1996 and housed a number of traditional, partnership and full publishing services imprints, including Indepenpress, Pink Press and Pen Press. The publisher last filed accounts in January 2013 and recording assets of £43,422, liabilities of £35,318, and a net worth of £2,232.This years accounts were due to be filed in October. TIPM has seen a copy of a communication sent to authors and creditors—dated May 31st—from company director, Lynn Ashman. We are sorry to send the attached letter. After 18 years in business it is extremely distressing to have to do this, but having managed to survive the hard financial times of the recession for so long, as a small company we are now unable to effectively trade any longer.~ Lynn Ashman, Indepenpress Publishing Ltd.
Ashman said that the company is now “technically insolvent and has therefore ceased trading,” and does not have the enough money or assets to file for liquidation. The company has invited creditors to issue “winding up proceedings” and if that does not happen, the company will be struck off under Companies Act 2006. It was of course not our intention to let any author down and we have therefore put wheels in motion to help you continue with your book should you wish to. […] We have worked closely with the sales and marketing company Author Essentials Ltd over the past few years and they will contact you with options of how they may be able to help you.~ Lynn Ashman, Indepenpress Publishing Ltd. Author Essentials Ltd is a small marketing and publishing service provider based in East Sussex with some limited publishing packages. Indepenpress has carried a strong recommendation on its website for a while encouraging its authors to avail of the company’s marketing and promotional services. The two main websites (Indepenpress and Pen Press) are currently still live on the Internet and no mention is made that the company has ceased trading, nor is there any mention of the situation on the company’s social media accounts. It is never good when TIPM has to report on the demise of a publisher/publishing service for authors. The UK and USA markets for pushing service operators has become increasing crowded and competitive and new and established indie authors are shifting more and more to digital publishing platforms. I’ve said many times on TIPM that publishers need to be innovative and flexible—an over reliance on print output combined with an inability to inwardly invest on up-to-date systems can leave even the most successful companies with an uncertain future. Your comments are valid – the markets for publishing service providers has become increasingly crowded, more and more spring up each week it seems, although few stay the course as we did. And of course more indie authors are choosing to go via the digital platform route. After 18 years in business, helping authors and having survived the recession, we are devastated to fall at the final hurdle. It is heartbreaking for all concerned. We would like to publicly thank such a large number of authors for offering their support and understanding. Such devotion is helping us get through this and it is good to know that we were thought of so highly by so many. Our concern at the moment is facilitating the return of files to authors should they wish to publish elsewhere, and we are thankful that Author Essentials have agreed to go this, having themselves worked with many of our authors over the last few years in sales and marketing. I would also like to personally thank you Mick. You have reported on our services and achievements fairly over the years, and reaching No.8 in your best publishers list was something we were so very proud of.. Thank you for this information. When Penpress folded, I didn’t know that Author Essentials had agreed to ‘return files to authors’. I am grateful that they are handling the completion of the publishing process for my two books: ‘Jack o’ Beans’ and ‘Jack o’ Knaves’, but that information was not passed on to me. Now that ‘Jack o’ War’ is almost ready to print, I am wondering how I can publish all three medieval adventure stories under the same banner. As far as I am aware, this is the first time, we at Author Essentials have heard from you. We will arrange to have your files returned to you asap. This was followed by all the sales talk..
Dont hold your breath Robert, i have amongst many others have not received any owed royalties via amazon and kindle sales. allso i have nor heard or received nothing from them.. im investigating, big tim. louis-obrien@hotmail.com just to add , new generation look even dodgier , they dont pick uo when u call, or get back.. very suspect… good luck.. This is news to me, I did no know that Author Essentials had agreed to return files to Authors. I have had a book published by Penpress and after receiving a letter stating that they had ceased trading, I have no response to my emails. I was told that my book would no longer be available through the usual outlets. I have followed Amazon over the last 2 years and have noted that it IS still available, even now. Could you please advise me as to what is happening to my book and if my files can be returned to me. I would be great fun for your reply. Audrey June Chandler. You would need to contact Lynn Price or Author Essentials directly. Interesting advice to contact Author Essentials direct but every time I call them I get an automated voice answering machine and three emails in three months asking for progress reports on our book have in two cases failed to elicit an answer and on the third were advised of the sudden death of their CEO. Have you any idea how we can contact them? Thanks. Is Lynn Price the same as Lynn Ashman??? Where can we contact this Person. Forget trying to contact Author Essentials, they are essentially , non existent. 1.One Caroline Walsh who lived in Brighton passed away on 27 May 2015. 2.’Remember Caroline Walsh’ was created by ‘Just Giving’ website. 3. The donors included Lynn and family. Also there was one ‘Grace the Portuguese’. There was a Grace, who I believe was a Portuguese, was part of the Pen Press team. Author Essentials started in year 2013 as PLC with registration number 08614283. The Author Essentials company has been functioning successfully for 2 years now and its status is active. The firm’s office is based in London at Barnfield Lodge. Postal code: SW17 9AP. I have been exactly the same pathway as P M Scrayfield and would suggest that he leads us victims collectively with a claim to MCCATNEY HUB CIC , currently the sole Director of Author Essentials. Meanwhile, Watchdog will keep me informed of any changes in the company’s affairs. I have read the above comments with great interest. I too was with PenPress and decided to transfer to Author Essentials when the former company ceased trading. I signed a contract with Author Essentials in October 2014. Among other things this stated that Author Essentials would ‘issue paperback and Kindle sales statements and payments quarterly’. Having heard nothing from them by 10 December 2014, I emailed to ask for information and was told that they were ‘still processing royalties’. On 3 February 2015 I emailed again and received a reply on 9 March 2015 stating that ‘hopefully’ I should receive ‘them’ by ‘the end of next week’. Again, nothing happened and no further communication was received. When I emailed Author Essentials again in early June, I received the automatic reply others have mentioned, stating that their office was closed due to a bereavement but that urgent enquiries would be dealt with. To be honest, by this time I was becoming so suspicious of the prolonged lack of communication that I doubted the truth of the bereavement claim. However I re-sent my email as instructed, adding my regret at the news of the death and sending my sympathy to all concerned. To this I received a reply on 10 June 2015 saying that I had been the only author to put my own enquiry before the grief of others and that therefore I would be the first author to be dealt with on the reopening of the office on 22 June. Further, that my agreement with them would be terminated on the 28 days’ notice provided for in my contract. I replied on 29 June 2015 saying that I calculated the termination date to be 8 July 2015 and that I would expect a full and final statement as soon as possible thereafter, and requesting that they inform me of when they estimated this date would be. It is now 20 September 2015 and I have heard nothing whatsoever. All copies of the emails referred to are on file for inspection. I have therefore paid a substantial sum of money to Author Essentials and received nothing at all in return, not even information. They have failed to fulfil the terms of their contract with me, indeed had I not emailed them several times, I would have received no communication from them at all. Is there any advice you can give, or any redress I might have? In spite of the so-called termination of my contract, my book (listed in four volumes under four individual titles) is still listed on Amazon in both paperback and ebook which of course is preventing me transferring them to a direct deal between Amazon and myself – because one cannot communicate with Amazon (in any way that I can discover) to explain the situation. Personally I feel that Author Essentials have been neither courteous nor businesslike and I am considering whether my experience of them would be something I could refer to the Trading Standards authority. Mick: any comment or, especially, advice on the problem I’ve outlined above? Somehow I have to resolve this situation where I’m stuck in limbo, my books listed on Amazon (and presumably other suppliers as well, eg Waterstones, The Book Depository) – but, as I am no longer contracted to Author Essentials, who is recording any sales or revenues due? And how am I to sort all this out with Amazon etc? I also have a book published by Author essentials, and have sent a number of emails which have not been answered since early June. Also get the answer phone when trying to ring. Does anybody know if this company has closed down ? I also have a book published by Author essentials. Does anybody know if this company has closed down ? I’m the son of an Author of a book published by Author Essentials, and it appears my father is in the same boat as many of you. I will watch this message board with great interest. still they take and ignore my request.informed amazon legal dept and have a newspaper and magazine interview which will pay for legal fees.also find out if this company have filed in their tax returns which were due 31.7.15 if not we know what they are up to.I have been advised to claim on Caroline’s estate.as a will is public property. I am in the same situation as all of you. I was with Pen Press and had not received any royalty statements for three years before they went bust. I then went over to A.E. A year ago, they published a book for me (no complaints about that) and I paid them to take over my five previous Pen Press books. However, I have never received a royalty statement from them, either. They have not been answering my emails and their answering machine says “Leave a message”. I sent a Recorded Delivery letter to their Falmer address and also to their Himley Road address, Tooting. The former is being Returned to Sender and the latter has been signed for by someone whose signature I don’t recognise. I have discovered that both addresses are private properties, blocks of flats. The Land Registry records that 4 The Courtyard was bought jointly by Caroline Tracey Walsh and Lynn Mary Ashman in November 2006. Lynn resigned from A.E. in May 2015 (though the notice to Companies House was dated September 2015) and she now works for Lloyd Welsh Taverns Ltd. at Telscombe Tavern in Peacehaven. My solicitor says this looks like a scam. Companies House inform me that A.E. are on their third and last reminder to submit their annual accounts. If these are not received, the company will be struck off the register. This action can be halted at the request of a creditor. I have reported the situation to Trading Standards in Sussex via the C.A.B. I have also notified Gardners and Nielsens to deal with me direct in future and not send any money to A.E. and am in the process of contacting Amazon. I was advised to take this action by the Society of Authors, who also are trying to get in touch with A.E. I am also in touch with one of their POD printers, who have asked me to pass on any information I glean. As A.E. have broken their contract, it would be possible to take them to court, but to my mind would only be throwing good money after bad. It seems to me that most of us just want our print files back and can forego any money owing, which is likely to be not very much in my case. This will bring you all up to date with the current position. The question is, where do we go from here? Perhaps a personal visit to both addresses before they go into liquidation. Iris: are you a member of the Society of Authors? Their website appears to imply they only impart advice to members – something that has stopped me (possibly only temporarily) from approaching them. Maybe we authors should set up a group.no money involved just authors e mail so if one thinks there is a scam publisher they could send it to the group which in turn would be sent to all authors who would post it to their Facebook Twitter YouTube. a very good idea,I had given up,as no one seemed to be able to help,my book took 10 years to research,what a waste of effort! I note from Companies House that there is now a Proposal to strike this company off. Where does that leave us all now ? AUTHOR ESSENTIALS LIMITED (company number 08614283) was dissolved on 6 September 2016, but there is another company BAMILEKE LTD (company number 08609289) which is still trading. This company was called AUTHOR ESSENTIALS LIMITED from 15 Jul 2013 – 17 Jul 2013 (i.e. 2 days). Just enough time to move some money from another similarly named company and then change the name perhaps? Also strangely, a Caroline Walsh was appointed on 15 July 2013 and resigned on 16 July 2013. Definitely some suspect goings on. With respect to my comments above, I have been contacted by Lynn Ashman, pointing out that she was never a director of Author Essentials and asking me to correct this erroneous information and apologise for the statement, which I do unreservedly. I have also heard from Mary Groves, who is working unpaid, and she and Lynn are endeavouring to arrange to return all files to authors and to have any royalties paid direct to authors in future. As they are working in their spare time, there may be some delay, but Mary hopes to contact everyone in due course. I have thanked her for her efforts in this regard. How did you manage to make contact with Mary Groves? Any help gratefully appreciated. Crikey! I’m not alone then. Thanks to all of the above for their information. if Mary Groves is working in her spare time, I do pity her. That could explain things. I would agree with iris,Jacqueline design of book covers are quite incredible and author essentails were on the mark with quality printing and it is sad I have to get angry and fight for my sales information and royalties. They are still advertising for new business how come when they are working for nothing to return authors sales,royalties and publishing rights. Put it right a e prove us all wrong and keep a company of quality going. Has anyone had their files returned or had any royalties paid direct as yet ? I, too, had a book published by Indepenpress then AE. No royalties received from either. No file received either. I, too, am in the same situation as everyone else. No news from AE for months and months. I just want to cancel my book ( but not kindle version) with them and Amazon. Anyone know how I can do this? I am yet another author who has received nothing in the way of royalties. I have used the company post Penpress and providing I am paying there is no difficulty in getting things done.The last time I spoke to anybody concerning the company was on the 30/3/15. I was e-mailed by Mary Groves asking how I would like to be paid, in cash or books. I am, of course, still waiting. I would like to regain control of my book on Amazon and if anybody has achieved this please let us know so that we can follow suit. Thanks for all your posts. Very interesting! I am in the same boat as you all. Books still available on Amazon, no royalties or record of sales, no files and no response from Author Essentials. However another factor came into play yesterday. I had an e-mail from a firm called Newgeneration-Publishing who claimed that they had taken over all Author Essentials rights. I looked them up on the web and it appeared that they have offices in Grey’s Inn Road , London and Olney in Buckinghamshire. I contacted a chap called Daniel Cooke and arranged to meet him at the Olney office yesterday. He told me that Mary Groves had been ‘given’ Author Essentials by Caroline Walsh’s estate and that he had ‘bought’ all their assets. He said that ,as yet, he didn’t have possession of these and produced no evidence to confirm what he had told me. The office in Olney was certainly not a hive of activity; It was scruffy, no phones rang, the furniture was old and sparse and there was on one other person working there. It was not an impressive set up. He said he would normally charge an author for taking over their files but in my case he wouldn’t. However if I didn’t go along with them my files would be destroyed. He was careful to point out that although the words were my copyright the materials belonged to him. Last year I was contacted by Mary Groves who offered to collect and return my files. I e-mailed back thanking her and saying that I would pay her for the time she spent. To this I received neither files nor a reply and have heard nothing since. If anybody has worked out a solution to the disappearing files and royalties, I would be grateful to learn it. ,I had given up,as no one seemed to be able to help,my book took 10 years to research,what a waste of effort! well there you go it appears we have all been taken in as suckers by these crooks,how do we get any money back,especially fromthe likes of Amazon? Sorry to say Lynne Ashman inherited Carolyn’s estate which was considerable. Anyone can ask and obtain any will. Forgot to say I have had a lot of help from Jane tatam of amolibros publishing .thanks Jane. I worked for Indepenpress publishing in 2013/2014, I left shortly before they ceased trading. I just wanted to say that I am whole heartedly sorry you’ve all had such awful experiences, and I’m sure there must be many more authors who are in the same boat. Whilst I liked Lynn and Grace, there was definitely something more going on behind the scenes. I could tell some very odd stories. I got to know the way they worked very well; who they dealt with, how the company functioned, etc. And I hope I can clear a few things up for you. Lynn and Grace both owned PenPress which became Indepenpress. Author Essentials was owned by Lynn’s partner Caroline. I do not believe they intentionally set out to scam any authors out of money. I do however believe that they were not as capable as they should have been to own a publishing company. I won’t go into the personal details of the lives of Lynn and Grace as they were, genuinely, lovely people and I am awfully sorry to hear of the passing of Caroline. I will say this, however; they buried their heads in the sand at the first sign of trouble. Regarding books still listed on Amazon etc, it’s works like this: ISBNs are registered under the publisher through Neilsons. That number dictates on Amazon and other resellers, and with the distributors Gardeners (located in Eastbourne), who published the book and thusly who managed it. If Gardeners still has copies then it will show on Amazon as in stock, despite the publisher having gone bust. The money made from the book goes to Gardeners and then to the publisher. If the company no longer exists then I’m not sure where the money would go. Contact Gardeners for this information. Your best bet to get these books taken off amazon etc is to contact Neilsons and explain the situation. They should be able to void Indepenpress’s ISBN and take the books of the database. If any of you have any more questions, or need any help, please let me know and I’ll do my best to answer. Again, I am so sorry you’ve had to go through this. I remember many of you very fondly, and I hope you are all otherwise well. ALL THIS IS HISTORY. CAN IT NOW BE PUT TO REST? Terrymistry – No! Why should it be put to rest? There are lots of Authors (including my father) who have been properly shafted by Author Essentials / Indepenpress / Bamileke / C YEW AND COMPANY, and I don’t think anyone’s situation has been satisfactorily resolved yet. Why haven’t any of the former owners/directors contacted the authors to aplogise or update them in the last 3 years? All interesting stuff. I’ve decided to NOT go with New Generation, although they have kindly emailed me the electronic version of my book. I’m taking Elizabeth’s advice and have contacted Neilson’s to try to get the paper version of my book withdrawn as it’s stillr on sale on Amazon but no one is printing it and I have no idea where the money is going. Total mess. Luckily I have control of the e- version which is selling well. I’ve NEVER seen any royalties after nearly three years of sales.